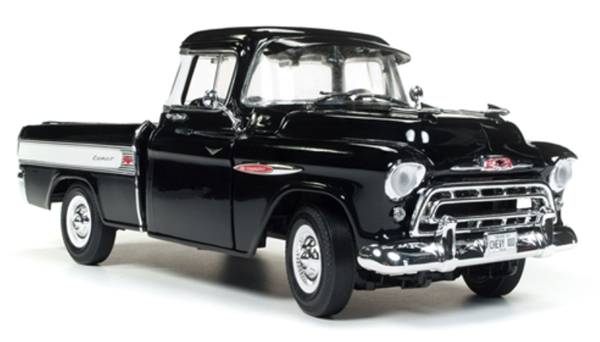 Chevrolet® trucks have been a staple of the American dream for 100 years. 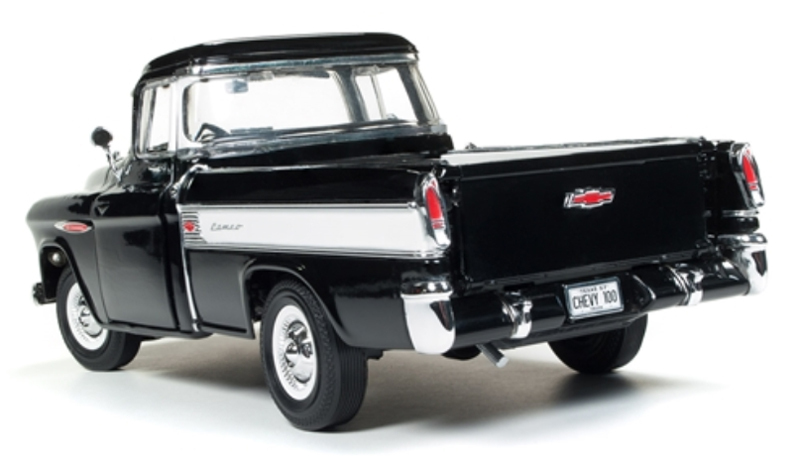 Generations of hard-working Americans have relied on their trusty Chevy® to haul everything under the sun to enrich their way of life. 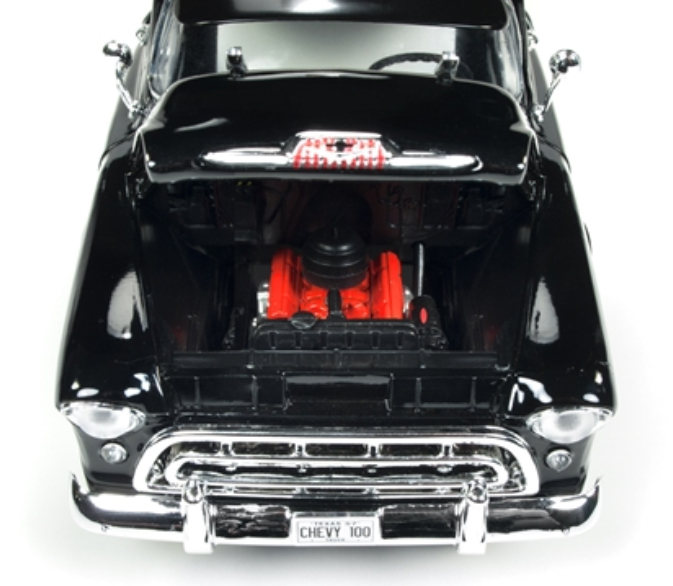 It could be countless bushels of this year’s sweet corn harvest, or their son or daughter’s furniture as they move into a college dorm, or even a sweet 454 crate motor going into the next award- winning custom hot rod. 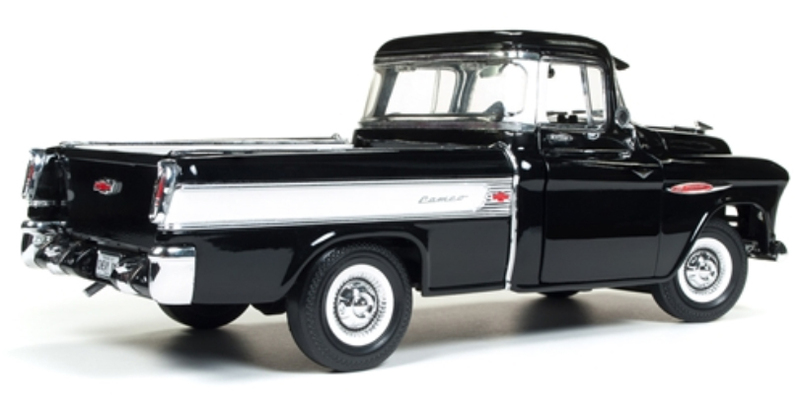 Chevy® trucks have been delivering greatness since 1918. 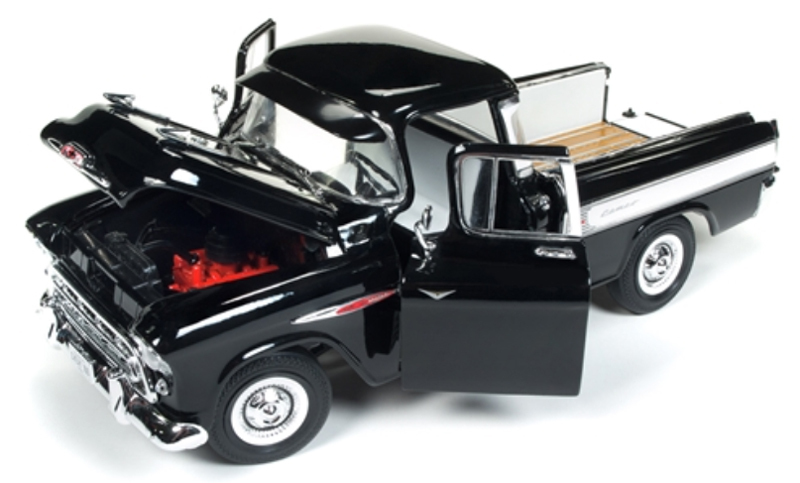 To commemorate the anniversary of Chevy® trucks, Auto World is honored to replicate this 1957 Chevy® Cameo™ 3124 pickup in factory-matched Jet Black paint. The interior is properly detailed with matching black seats with white inserts. 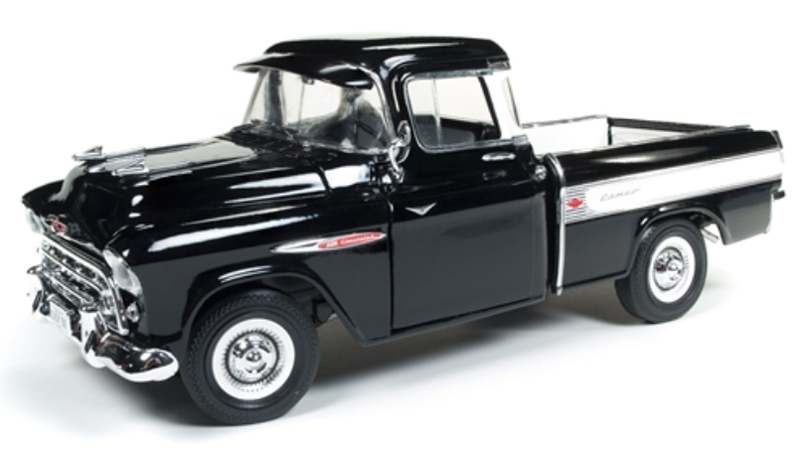 This truck is a fine addition to the American Muscle line of 1:18 die-cast replicas.